Laoag City Mayor Chevylle Fariñas thanked President Rodrigo Duterte for declaring February 11, 2019 as a special non-working day in the city in time for the celebration of the Pamulinawen Festival. Among the activities lined up for the festival include streetdancing, “Dulang” Festival, calesa parade, and the search for Miss Pamulinawen 2019. The Pamulinawen’s grand parade is also expected to draw a huge crowd. “February 10, which falls on a Sunday, is the annual fiesta celebration of Laoag in honor of our patron Saint William the Hermit, but we asked him to declare February 11 instead as a special non-working day for the people of Laoag to enjoy the festivity,” Fariñas said. 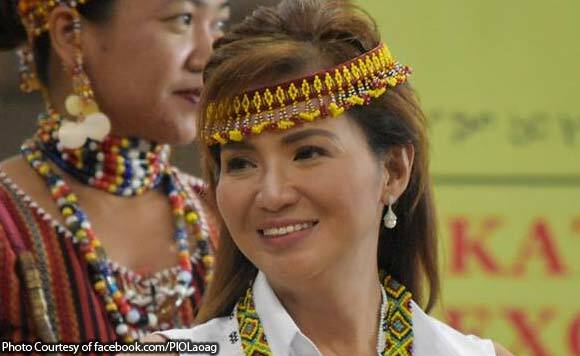 Mayor Chevylle FariñasMiss Pamulinawen 2019Pamulinawen FestivalPresident Rodrigo Duterte.